Ubuntu is a traditional African relational virtue which means ‘I exist because of you.’ It celebrates connectedness, generosity, responsibility, and optimism. Over the sweep of the past 50 years, economic growth and technological advancement have brought radical improvements to many dimensions of everyday life around the globe – ranging from the spectacular decline in child mortality to greater access to primary education. Against this general narrative of progress, there is widespread concern over the decline in the quality and strength of human relationships. For many, myself included, deep connections to my family and community bring a fullness to life that cannot be replaced by material goods or services. A recent project of the Children’s Radio Foundation in South Africa seeks to approach the problem of social development through the lense of Ubuntu. Ubuntu is a traditional African relational virtue which means ‘I exist because of you.’ Ubuntu celebrates connectedness, generosity, responsibility, and optimism. 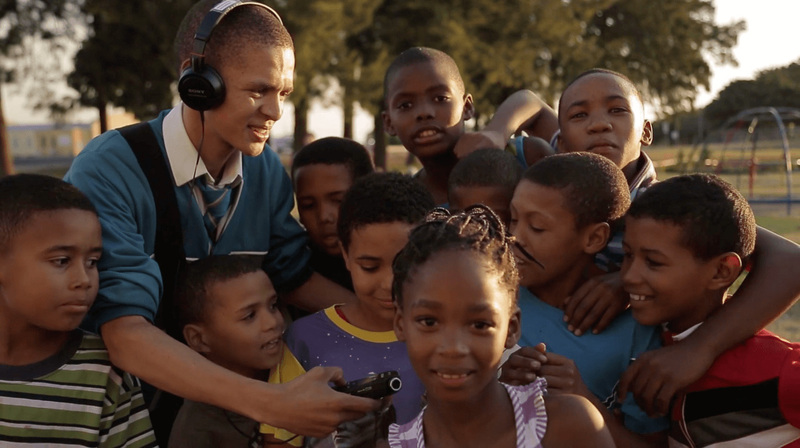 This unique project engages radio reporting, storytelling, broadcasts, and two national competitions to ignite dialogues about the themes of Ubuntu among South African youth. The initiative trains youth to bring out powerful local stories, and to create an array of radio programs that highlight the diversity and interdependence within local communities. It encourages young reporters to identify themes of Ubuntu as actualized in the lives of others, and through this process, to uncover new ideas, self-understanding, and ways of working together to improve their own communities. As President of the Templeton World Charity Foundation, Andrew Serazin is responsible for all aspects of the Foundation’s philanthropic activities as well as effective stewardship of its financial resources. As a researcher, entrepreneur, and executive, Dr. Serazin has worked to bring scientific and technical advances to bear on some of the world’s most pressing challenges. From 2006 to 2012, at the Gates Foundation, he was responsible for bringing new products, scientific approaches, and technologies to nutrition and human development. He founded and led Grand Challenges Explorations, an early-stage medical research fund that has attracted ideas from 60,000 scientists in over 100 countries and has resulted in over 1,000 projects. Earlier in his career, Dr. Serazin was Departmental Lecturer in the Zoology Department at the University of Oxford, where he conducted infectious disease research and taught courses on the biology of disease. As a Rhodes Scholar, he received his doctorate from the University of Oxford for his work on developing new genomic technologies to accelerate the design of new drugs and vaccines against malaria. Dr. Serazin has also been a member of the College of Science Advisory Council of the University of Notre Dame, where he received his undergraduate degree. His original research has been presented at many international meetings and in leading peer-reviewed journals, including Science, PLOS Medicine, Nature Immunology, and Lancet.